Ever since I first heard Peter Cushing utter the immortal lines “Monsters? We’re British, you know!” from Horror Express back in 1976, I’d had the rather dramatic epiphany without even realizing it. Almost as if I pointed to the screen as I mused to myself. I wanted to write about horror. Well, that is, unless my other goals to become a space cowboy or caped superhero did come to fruition. 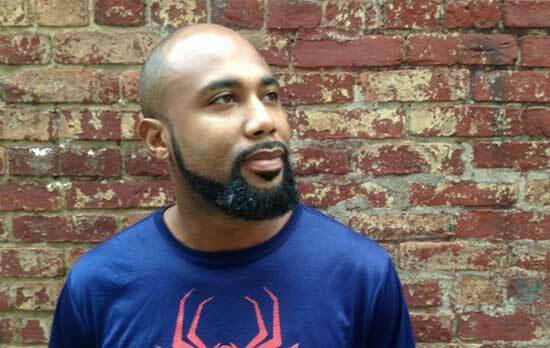 For others, like independent filmmaker and actor Chase Dudley, the story was similar I am sure. The first visuals seeding the passion in your head. Advancing some 42 years later, with contributions to four books (and counting), becoming staff writer for We Belong Dead magazine as well as for sites such as myindieproductions.com, spookyisles.com and horrornews.net, it seems I’m quite on the way to achieving my long-held desire to write about the genre. 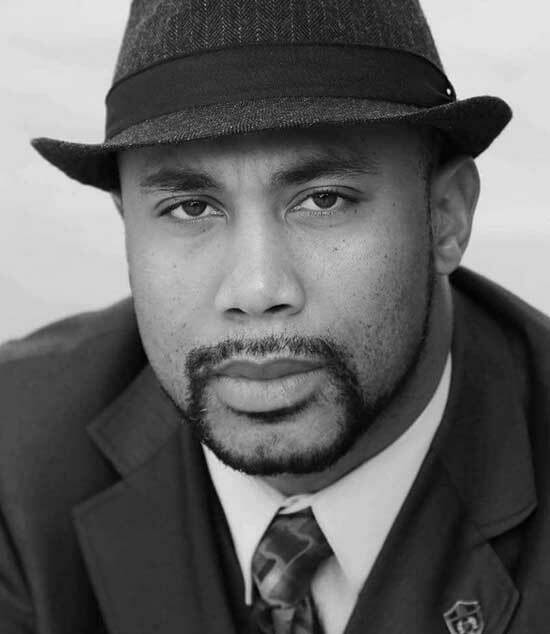 Now, as fortune would have it, I get the opportunity to cross paths with Mr. Dudley and get an idea of his story and ambitions. Head of his own production company (along with his wife) Cut to the Chase and keeping a frenetic acting work schedule, I had a chance to catch up with him for an email interview. KN: You grew up in Atlanta, Georgia (birth home of two of my favorites, Chris Tucker and Spike Lee) and were given your first camera as a gift at 15 by your parents. Did you have an idea at this point that you wanted to make movies and leave your visual arts imprint on society? CD: I knew from when I was a kid. I wanted to be involved in the entertainment industry. I always knew that, for the simple fact of when I was little, I always was the class clown or the person who put on a show or try to get a laugh. I always knew acting was my thing because, as I watched films, I always remembered the actors lines as well as act out the scenes. So yeah. Yeah. I felt like the acting bug hit me when I was young. KN: There must’ve been an immediate connection of fate in the air when we contacted each other for this interview. In your interview with Chris Rennirt of Space Jockey Reviews in 2012, you bring up Tom Holland’s Child’s Play from 1987 as your influence early on. You also mention that horror became the default genre to watch because you had two brothers who dominated the tv and had the Nightmare on Elm Street movies on usually. I began in the 70s with my horror obsession because my father watched them all the time. But it was Holland’s Fright Night and Child’s Play that impacted me the most and got me into studying horror and collecting films. What drew you to Holland’s work and do you credit your brothers ever for indirectly fanning your passion? CD: I love Tom Holland. I actually am Facebook friends with him and I chat with him every so often when he’s not so busy and I constantly remind him that he was such an inspiration of me growing up. I love his movies. I loved Child’s Play the most, obviously, as well as Fright Night. Those were my two favorite films that Tom Holland has done. And yeah, I would have to say my brothers and my mother, with all sharing like the same TV and watching some amazing films, was a huge impact on my filmmaking process because I was exposed to a lot of films because a lot of people growing up aren’t really allowed to watch the things that I was allowed to watch. So I really think my parents and my brothers for allowed me to wash these. KN: You mentioned in that interview the name Alfred Hitchcock as an influence. His name is dropped by many aspiring filmmakers who note different parts of the master’s style in their reasoning as a fan. What aspect of Hitch impresses you the most? CD: Hitchcock was just…I think he was…I think he’s mentioned enough but I don’t really think he’s mentioned in the right reasons. I feel like Hitchcock was, probably, one of the first filmmakers who was very subjective but a lot of things…and leaving a lot of things implied. I love films that leave you to think rather than showing you all. I love how Hitchcock always manage to show you enough and leaving you want more opposed to seeing everything and then you’re like, huh? It’s because sometimes, when you see it all, it just seems like you’re not satisfied. I think you wanting to see more leaves you more of a satisfied hunger because it’s a constant curiosity. You still think about it. Some of his films really inspired me. I still think about them today because there is no definitive answer. KN: You also have mentioned Scream, from Wes Craven, as an influence. Hitchcock, Holland and Craven are all great proponents of building suspense slowly and using mood, story, characters to scare rather than always gore or the overt shock moment. Understanding that you go your own course as a filmmaker, did you have a conscious lean for the subtle based on those genre artists? CD: I love Wes Craven as a storyteller because he always has some very beautiful transitioning shots leading to the next. And what I love about Scream because it was ‘96 and I was 14 and I felt like Wes Craven always managed to reach out to new audiences over the years. He had The Last House on the Left and, you know, that was the late 70s. And then you have A Nightmare on Elm Street, which was the mid-80s. And then you have Scream, which was the 90s. I love his movie Red Eye that he did in 2005. I felt like Wes Craven is one of those people who can make fear come in the most unexpected places because you know, Scream, that was pretty much the rise of the cell phone era where someone can call you and possibly be out in your front (yard), you know, or your back yard, for example, and that was a whole new level of Scream. Pun intended. So I really love that and I felt like they (Craven and Holland) fed off each other very well. It was like a really nice friendly competition in a sense the 80s. I don’t know if we would ever get that kind of horror run today. I’m even passing it on to my kids and they love it. And they’re meeting some of the people that I dreamt of meeting when I was a kid and you know, so it definitely is an amazing experience. KN: I noticed from checking your resume at IMDB that you pretty much are a man of many hats when it comes to your productions. Director, producer, actor and even sound man and casting director. Is this more of necessity or is there a certain hand’s on/total control part of your psyche that drives you? CD: Well, yeah, I have acted. I don’t…I don’t really act so much anymore today. I love…I love acting. But I feel, as you grow in the industry with acting and directing, it seems you have to be either one or the other. Especially when it comes, not necessarily true, but when it comes to your own productions, per se, I feel that it’s very important to either choose one or the other. I don’t act in my films anymore. I strictly direct I do still do casting director because I feel 90% of a director’s job is casting. So I feel it is very important that I pick up my own actors as opposed to telling somebody what I want. But really, truly, the only person who really knows what I want, when it comes to a look, is me. So, I feel that’s very important so casting director and directing are still way too many things that I do but, you know, starting out you kind of have to do everything. I think it’s also very important to know almost every position in filmmaking, anyway. So, that way, you don’t undermine anyone else’s job. KN: Your films seem to have a running theme of human evil, or at least, the ugly areas of the human soul. An unbalanced children’s book author in Marvelous Mandy, racism of family members in 14/88, or the intolerance and antimiscegenation tearing a family apart in Payton’s Burden. Is this a theme that is near and dear to your heart? CD: This is my favorite question. Yeah, because, you know, in life you experience all of these incidents. I, luckily, I’ve never really experienced or run into serial killers. But, yeah, I know some people who I see on the news have killed people and I’m not surprised. I kind of honestly seen coming. I’ve lived a very interesting life in a sense. So that’s pretty much what I shoot. And what I film is a reflection of what I’ve seen. I believe Martin Scorsese said that which, you know, when he shot a lot of his gritty mobster movies, a little of that was what he was exposed to. I think…in a sense, I think everyone kind of puts out as an artist what they see as their perception of life, per se. So I really really love that question because no one has ever, I guess, taken notice and those are the things I (try to show) as a filmmaker. I hope people do take notice. KN: Discuss for a bit, if you can, the making of Payton’s Burden. Interracial relationships are still not a common topic explored, even in this day and age of seeming advances in enlightenment. Putting all the efforts into the making of this film that you did, it appears very much the labor of love for you. Has the feedback been mostly positive, was any of it negative? 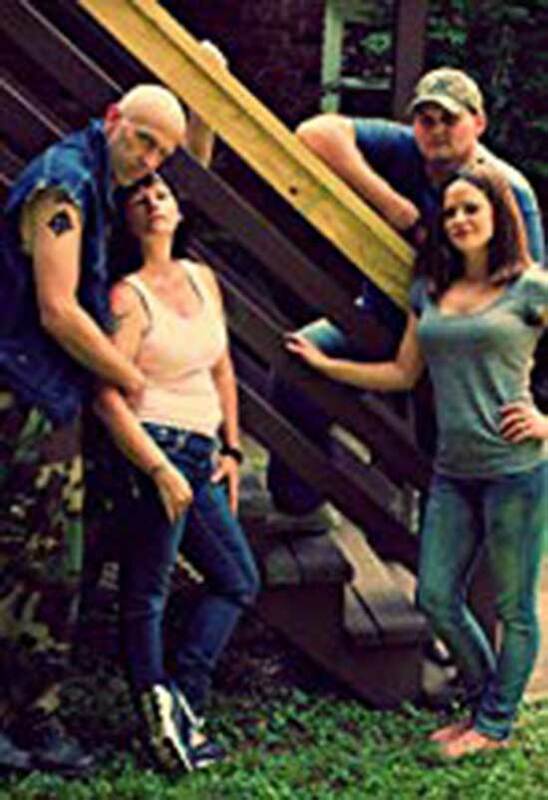 CD: Shooting Payton’s Burden was a very positive feedback. Obviously. It was a lot of, I mean, a lot of because it’s on the INC channel on Roku and a lot of people gave feedback on it and it’s a lot of positive reviews. Although I’m very self-conscious because I starred in it as well as directed it. So, of course I felt that, if I just wanted to direct it, it would have been much better. But it got a lot of positive feedback into it. Yeah, interracial relationships aren’t a very much explored topic it. You know, you see interracial couples (on movies and tv), but it doesn’t really dive into what the realities of what interracial relationships deal with. 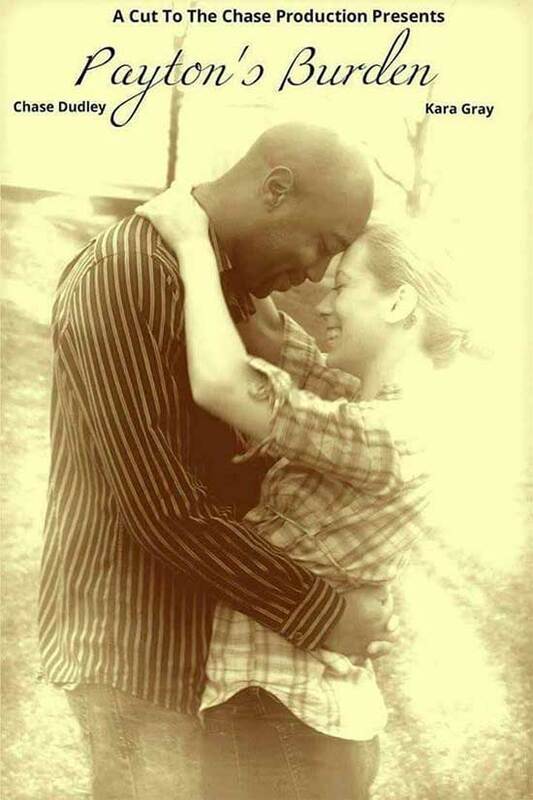 I’ve been with my wife now for nine years and there’s a lot of racism constantly. It’s like one of those things you have to. you know, look past it and get, you know, because you have family members, you have friends, and it feels like they’re constantly dividing your views, you know. 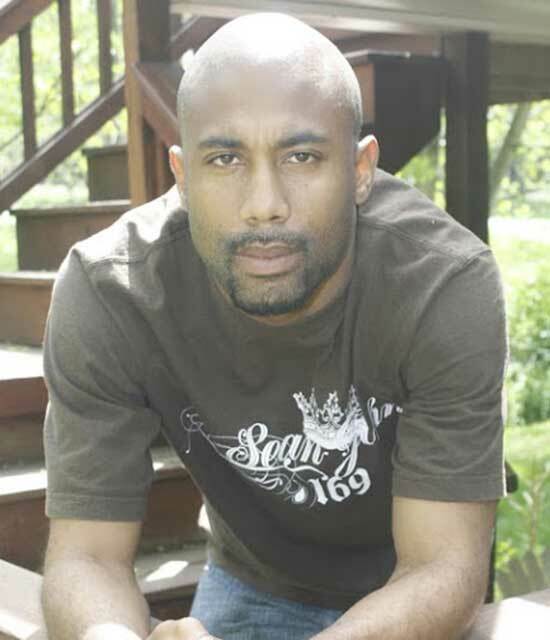 Sometimes I talk to white people and they, you know…you hear them say things about, you know, other nationalities and then you hear from African-Americans about white people and it’s just it’s an uncomfortable conversation because, you know, my family is white, you know, or biracial. So yeah, it’s a…yeah, so making that movie Payton’s Burden, I felt was a very necessary film and, especially, for today’s youth because interracial couples are more and more now and I talked to many interracial couples and they can relate to a lot of things that they seen. 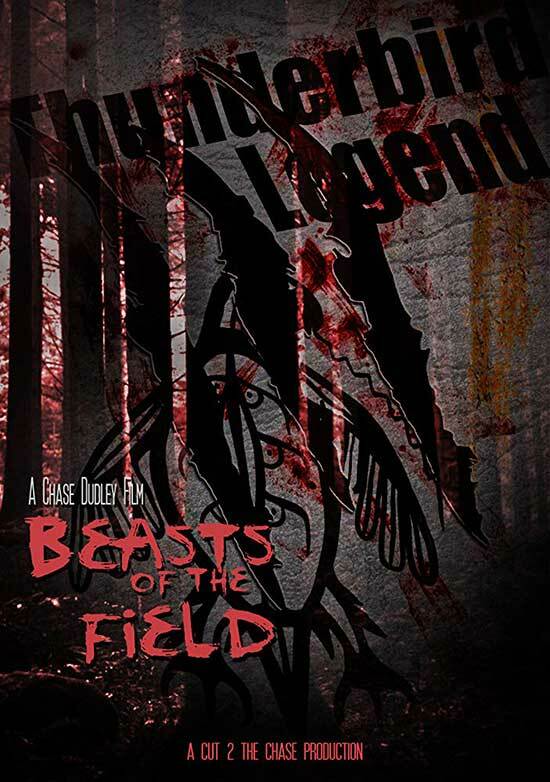 KN: You started with $3,000 in budget for Final Offense in 2013 and graduated to an estimated $30,000 for your current project, now in pre-production, Beasts of the Field. Do you feel like you’re moving up on the box office chain? In all seriousness and assuming you are not 100% funding everything yourself, how difficult is it to get funding for films as an independent nowadays? On the one hand, there’s always a need for product with all the streaming sites, cable channels etc. Yet this also means a lot of artists competing for that same money source. CD: Um, one thing I’ve learned starting out, you know, I used to fund my own films and it’s very hard because, you know, providing for a family. And then, you know, making enough to do micro budget films is very, very hard which is why 98% of most filmmakers end up fail..er..uh, quitting. I wouldn’t say fail, but quitting in a sense and, you know, yeah. But, the more you do and the more you keep pushing and the more you put out content that people can see, other people seem to start to notice and you start running into more people, more experienced people, and it can do things that you need them to do and then it kind of draws attention to people who might be willing to take a chance with you. That’s just my experience. I can’t really say anything about, you know, anyone else. But yeah, it’s never easy. But it is funny that the money always comes from places I least expect. KN: From what I’ve read online,seems to be your biggest foray into fun, out and out fantasy chills with a search for a descendant of the Pteranodon? As much as I am sure the focus will be on the characters and the pursuit, is there any bit of this that stems from a Ray Harryhausen dream in your head that prompted the idea for this project? I’m having a vision of a creation ala something from One Million Years B.C. from 1967. CD: Beasts of the Field is…I mean, this is a very fun script because it has everything. It has action, adventure, horror, drama. Everything in a film and a little bit of sci-fi. So, this stands out from anything I’ve done and it’s…I mean, it’s very fast-paced. So, I’m very looking forward to working with this film. But every film has something that, you know, I really wanted to do to it. You know, my last film payday was a crime drama action film and I always wanted to do a heist film where it was completely grounded and it primarily takes place in one location. So yeah, this film really stands out though. KN: At the risk of asking a question that Barbara Walters might’ve asked, do you prefer performing in front of the camera or working behind it and why? CD: Starting out in the industry, I was a hundred percent solid devoted to acting and that’s all I really wanted to do. Directing happened to me by accident for when I was shooting my films. I needed to tell people what to do and then, naturally, that started becoming more and more common. Then I realized that, hey, I really like directing more than I do acting. I like it more than acting because I’m more of a better person to describe what I want and what I’m looking for as opposed to giving out that kind of performance. Although people, you know, say that I’m a good actor. I don’t ever really feel that I am a great actor as much as people tell me I am, but I really love directing. KN: I’ve asked this question of many an interviewee before, especially the indie helmers such as yourself. Understanding the obvious that every filmmaker wants to see their name on the theater marquee still and that big studio financing is still the goal, is the internet the new, exciting way to go and will it ever leap above the big screen desires of the up-and-comer creator like yourself? CD: Yeah, headlining theater, you know, or really seeing your movie on major platforms. It’s always been a dream or desire of mine, that I continue to work hard, you see, because that just means everything. And, especially, when you meet, you know, people who really, really loved your content and what you do because, you know, when you’re doing it, you know who’s going to like it or who it’s going to reach out to. What you can only wish and hope for is that we’re going to be the next Cinderella story. So, yeah that, for me, is something I would love to see and especially even I mean becoming a Netflix original. KN: Tell us all about Cut to the Chase Productions, the company you formed with your partner Samantha Stengel. What is the genesis of the name and what are future plans? Btw, the name sounds like either a director’s instructions or an organization formed by a group of completely impatient people. CD: Cut to the Chase Productions was really more of my wife basically telling me I need to get an LLC and really get serious about, you know, getting a business and getting your name out there, you know. With film, as much as it is about passion, it’s also a lot about business, contracts and, you know, all those good things. So, that being said, most of this is strictly, you know, business and my wife is very business smart, which I’m very glad because I don’t know what I would do if it wasn’t for her in that sense. So a Cut to the Chase Productions was created in 2015. And this was a lot of luck and hard lessons learned by, you know, filmmaking. A lot of rookie mistakes you learn. And you’re like, hey, I can’t do that again. So, when you have an LLC and you have contracts and you start getting the paperwork in and all the legal stuff and all that’s when all the success comes in. The plan for A Cut to the Chase Productions is definitely basically becoming like the new New Line Cinema or DreamWorks. We’re pretty much, you know, helping other filmmakers get their content out there and it (the company) becomes a household name. KN: Are your films available for purchase anywhere? How can someone obtain dvds of them? CD: Yes, a few of my films are available out there. Payton’s Burden is available on the Inc Channel, which is on Roku and I just recently re-released Marvelous Mandy. I just went ahead and uploaded that on YouTube. So, it’s free to see. It was picked up by Legless Corpse films, but it (Legless) has went out of business. So yeah I just, basically, released that to the public for everyone to see. 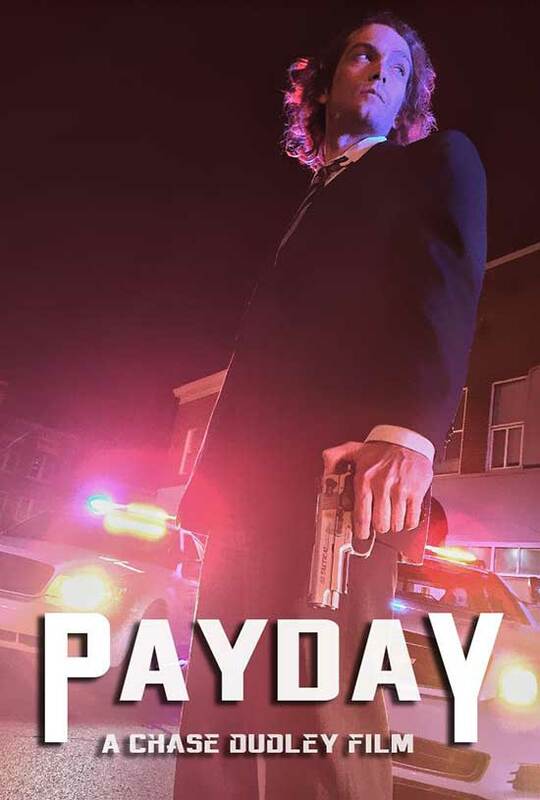 Payday is going to be released this fall, not exactly sure what the release date is, by Indie Rights Movie. They’re a very big, up-and-coming production company and it will be out on every major online platform as well as DVD and Blu-ray. KN: Lastly, what advice would you give the next auteur out there who’s just got his first Minolta and $3000 check? CD: My advice that I would tell any up-and-coming filmmaker is just never give up. You’re going to fail, so embrace that and learn from it and move forward. That feeling is part of learning and part of leading to success. So, if $3k and a digital movie camera are given to you one Christmas by your parents, and your still burning with the filmmaking flame that engulfed you on that night years before where you thrilled to the main feature on the horror show, go and run with it. Become the next Wes Craven. Even better, become your own new star on the horizon. Just like Chase Dudley. Only be prepared for all the hats you will wear and jobs you’ll do in getting things accomplished. My thanks to Chase Dudley for agreeing to the interview. Check out Marvelous Mandy on YouTube. It is quite the thought-provoking film and deals with issues of race that are more timely now than ever. Now, maybe I’ll pop in that alien parasite/brain drain/zombie assault/Christopher Lee/Peter Cushing extravaganza again. The one that started me on my own road to chiller-mania.